Decades ago, when the asbestos industry was at its peak, a small town in southeastern Quebec prospered as home of the world’s largest asbestos mine. Mining asbestos was so important to the local economy, that the town adopted the name Asbestos. Years later, however, it was discovered that asbestos caused debilitating diseases such as asbestosis, lung cancer, and mesothelioma. As a result, the world’s largest asbestos mine, known as Jeffrey Mine, was shut down for good. According to the BBC, the mine “provided half of the world’s supply of asbestos at one point, and helped make Canada the world’s largest asbestos exporter by the 1970s – with the industry delivering shipments valued at over $230 million CAD in 1973 ($1.35bn CAD when adjusted for inflation in 2018 or US $1.04bn).” Because the mine provided dependable, steady employment to most residents of Asbestos for decades, when it closed, unemployment skyrocketed and the population plummeted from nearly 7,000 inhabitants in 2011 to just 5,205 in 2016. Today, with the ban on asbestos in Canada set to go into effect in 2019, the town says it can begin rebuilding its reputation, starting with repurposing the mine. The Mayor and the people of Asbestos have turned the Jeffrey Mine into a bustling tourist attraction, with its own dedicated observation post. And a few yards from the edge of the disused mine, several locals teamed up to build a microbrewery. With the help of provincial government funding, Moulin 7 Microbrewery is already playing a significant role in revitalizing the town. “We had the water analyzed and it is perfect,” he says. “People wanted to taste it.” The award-winning brewery now attracts tourists from all over, along with Quebec’s many bikers who visit the town while exploring the countryside. The rebuilding of Asbestos hasn’t stopped at signature microbrews and the must-see Jeffrey Mine. You see, asbestos wasn’t the only valuable resource in this town. During the winter, snow is abundant here, so the historic Mont Gleason ski resort is making good use of it and now attracts thousands of visitors each year. The resort also employs more than 250 people during the winter season. The town has also established a regional processing center for one of Canada’s more gourmet food products—duck. The center provides jobs for more than 100 workers, with plans to increase this number thanks to increasing demand from Mexico. The company is on track to produce four million ducks per year by 2020. So far, the push to revitalize the town of Asbestos seems to be working. Since the last census in 2011, unemployment in the town fell from 12.4% to 7.6% in 2016. With so many positive things going on in this town, people just might start to see “Asbestos, Quebec” as just another name. 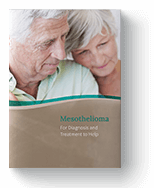 Thousands of people across the U.S. and Canada are diagnosed with mesothelioma each year and there is no cure for the disease. However, treatment options have come a long way in just the last decade, with early detection being the most powerful weapon against the disease. If you have been exposed to asbestos, please see your doctor right away. Even if you do not have symptoms, your doctor can refer you to a specialist who can develop a monitoring plan that can help detect the disease sooner. Early detection often leads to better treatment options and outcomes, so see your doctor today. Archer, Lorcan. "The Town Fighting its Killer Reputation." BBC. The British Broadcasting Corporation, 30 May 2018. Web. 12 Sep. 2018. “Census Profile, 2016 Census Asbestos, Quebec, Canada.” Statistics Canada. National Statistical Office, 2016. Web. 12 Sep. 2018. Ireton, Julie. “Canada introduces new asbestos rules.” CBC.ca. CBC/Radio-Canada, 09 Jan. 2018. Web. 12 Sep. 2018.